S. M. WILSON PROMOTES ANDREW AHLERS, CM-BIM TO ASSISTANT PROJECT MANAGER - S. M. Wilson & Co. S. M. WILSON PROMOTES ANDREW AHLERS, CM-BIM TO ASSISTANT PROJECT MANAGER - S. M. Wilson & Co.
Ahlers has six years of construction experience. 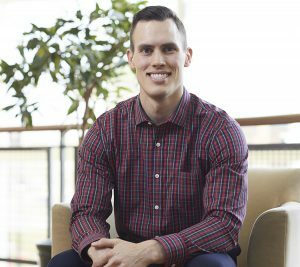 He has worked on a variety of projects for Blessing Hospital, Chaddock School and is currently working on a senior care project in the Kansas City area. He holds his CM – BIM Certificate of Management in Building Information Modeling from the AGC of Missouri and has his AC (Associate Constructor) certification from the American Institute of Constructors. Ahlers is OSHA 30 Hour Construction Safety and Health for Construction Industry certified and earned his B.S. in Construction Management from Southern Illinois University Edwardsville. S. M. Wilson is a full-service construction management, design/build and general contracting firm with headquarters in St. Louis. S. M. Wilson is one of the largest general construction and construction management firms in the St. Louis area. The company posted $280 million in 2016 revenues and ranks 271st in Engineering News-Record’s 2017 list of Top 400 commercial contractors nationwide. For more information, visit www.smwilson.com.